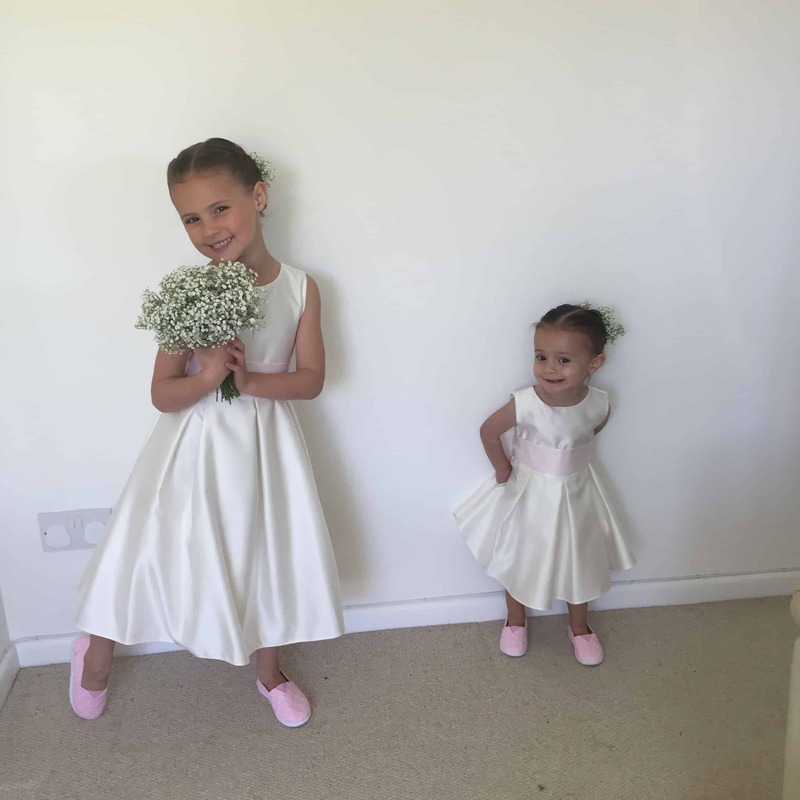 Recently my family attended a family wedding where both my girls were invited to be flower girls, which we were left to our own devices deciding what to do where their hair. Now my 2 year has a good amount of hair but is still very impatient, so we had to find a hairstyle that we could improvise with to match my 6 year old beautiful hairstyle that takes no longer than a few minutes as time is very limited with little ones as we all know. 4. 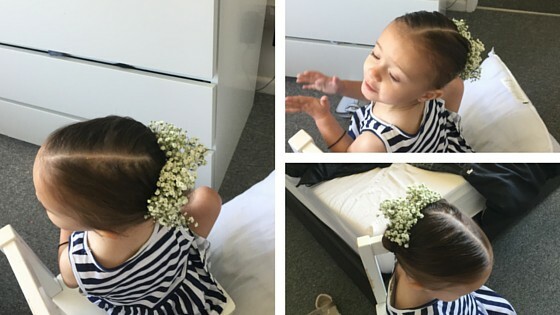 Make sure once you can secured with a hairband you then twirl it into a circle and bobby pin it the back of the head ready for the flowers to be added. 5. 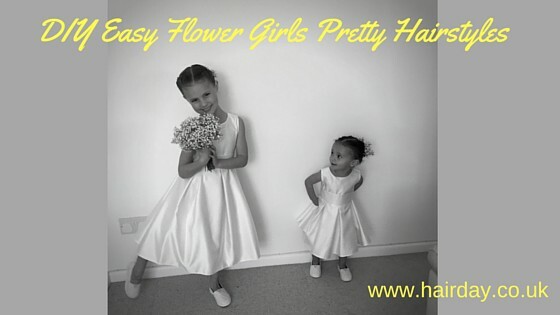 Repeat this on the other side make sure the hair is nice and secure and then add your flowers by poking them through the grips!! 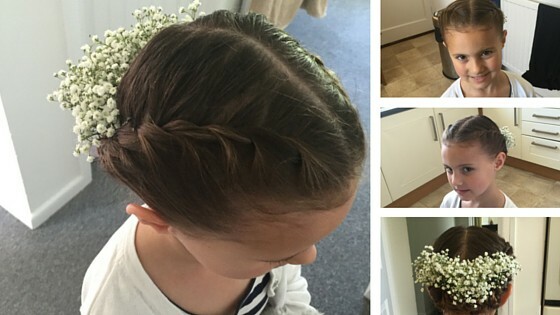 As you can see its a really easy hairstyle to create. 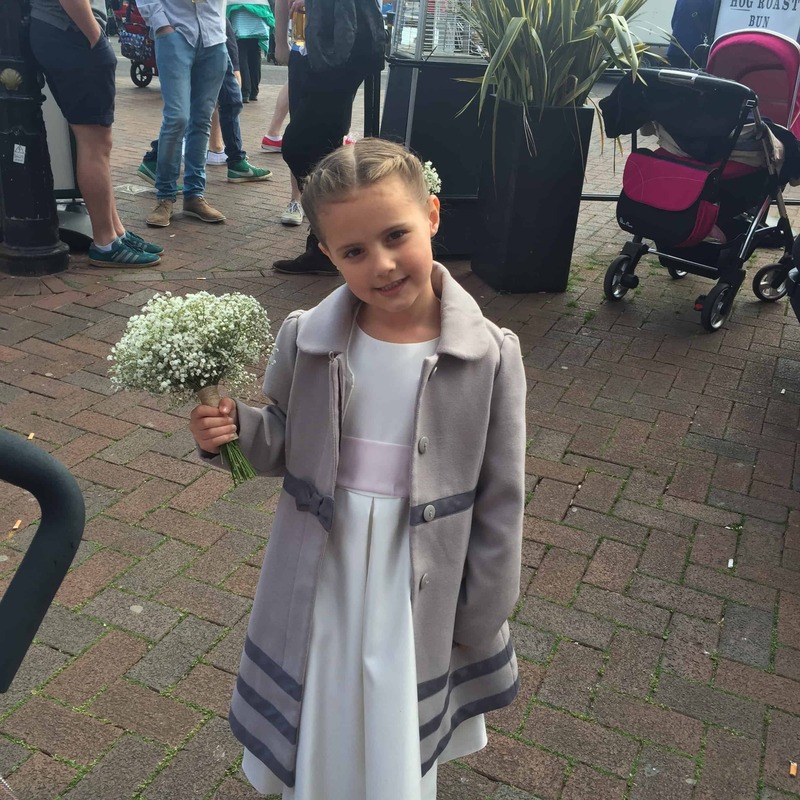 how beautiful does Millie look with her easy hairstyle and lovely flower girls dress. ​Simply follow my instructions and VIOLA ! Now we very quickly discovered that Mia was not going to stay still enough for me to create the twist and add hairstyle so we improvised and it worked beautifully!